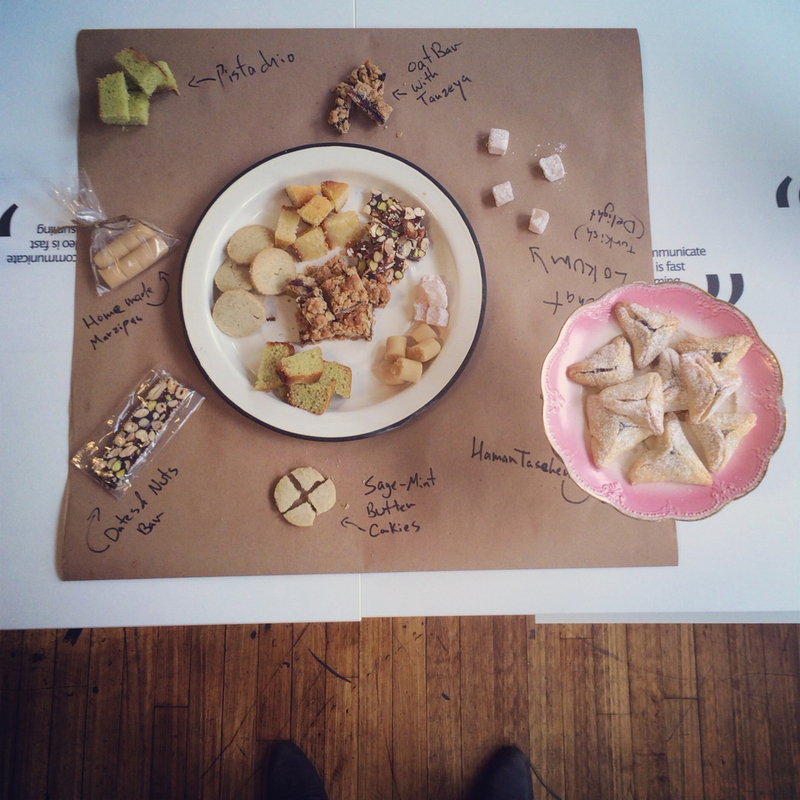 We created a Middle Easter inspired sweet menu for VOLTA NY. VOLTA NY is an invitational art fair, showcasing galleries— that choose to work with the most exciting emerging artists- a platform for challenging ideas about contemporary art. We were invited to showcase a display of sweets for fair visitors and gallery owners to enjoy. “…A plethora of traditional Sephardic sweets will be served by Ron Arazi (chef and baker and Leetal Arazi (pastry chef, food stylist and photographer) of NYSHUK. The husband-and-wife team introduced their love of multilayered Jewish Middle Eastern cuisine to Brooklyn’s Smorgasburg in 2013, and beyond hosting contemporary Sephardic culinary workshops at TheBrooklyn Kitchen and Haven’s Kitchen, the due produces a product line of pantry staples for home cooks- Harissa(sun dried chili pepper spread), L’ekama (Middle Eastern spice blend in chili and garlic oil), and Tanzeya (slow-cooked dried fruit and spices medley.